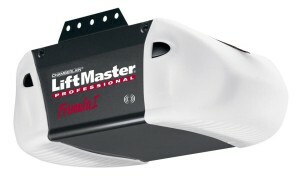 Garage Door Opener Installation is only one of many services we offer at Express Garage Door Toronto. our installation technicians take the process of installing garage door openers very seriously. This is due to it being one of the most complex parts of the mechanism. Not purely mechanical, this component of the garage door houses the unique information electronically that allows your remotes, and only your authorized remotes to activate the garage door opening or closing commands. 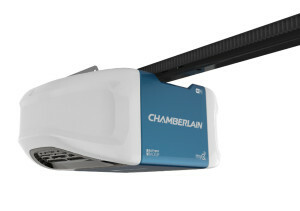 After the Express Garage Door Toronto team have walked you through the wide variety of options and designs of the door, the Garage Door Opener Installation team will begin the process of installing the desired opener unit. The device itself will be meticulously inspected by the installer prior to installation. Rarely these devices can become damaged in transport so this check is largely not needed, however, identifying any problems now will help hugely should any problems be present at this stage. Following the opening device being given a clean bill of health, the device will then be installed. Strict quality control is adhered to so that you can be confident that the installation is of the highest standard possible. It is also worth bearing in mind that as the garage door opener is being installed, the technician will also be acutely aware of the condition of the other components that make up the garage door. The keen eyes of our technicians are able to spot even the smallest flaw or malfunction in a garage door. The value of having these experienced eyes look over your garage door cannot be overstated. Once the opener is installed, the technician from Express Garage Doors Toronto will walk you through the functionality of the device and how to control it from the comfort of your vehicle. This is perhaps the greatest benefit of the whole exercise. Being able to open the garage door from within your car not only saves time and effort, but can be a huge bonus in the winter. Braving temperatures of -20 degrees to open your garage door could prove to be quite challenging. At Express Garage Doors Toronto, we make our customers satisfaction our main priority. For this reason, should you encounter any problems with the newly installed garage door opener, we will send over one of our technicians to take a look and fully address your needs. The purpose of a garage door opener is to make your life easier and we will work tirelessly to ensure that we deliver on all of our promises. Our business thrives on word of mouth, so we have even more motivation to ensure that we leave you a very satisfied and content customer. Let us know if there is any way that we can improve the installation process, no job is too minor if it means that you will be happier with the end result. We are available to be contacted at any time, if you are experiencing trouble with your garage door opener, calling us at (647) 277-1182 is the first step to a fully functioning door and the peace of mind that comes with it.